Scrambling for a gift idea for dad (or yourself) this Father's Day? 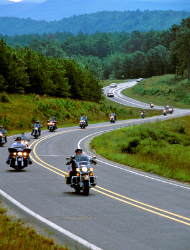 Motorcycle enthusiasts – or anyone who's dreamed of the quintessential American adventure of cruising the open road – will discover an unforgettable experience with EagleRider, which rents Harley-Davidsons, BMWs, Triumphs, and Honda motorcycles and offers guided and self-guided tours through some of the most iconic routes in the country, from Route 66 to the Pacific Coast Highway. The California-based company, which is marking its 20th anniversary this year, offers a practical and affordable solution for riders, especially beginners and those coming from foreign countries, to get a feel for the road (and the different styles of bikes, in case they’re looking at purchasing one). It also solves the problem of the ride home, which, let’s face it, is somewhat less appealing than the excitement of the journey there. You simply ride from one of the company’s 70 U.S. locations to your destination – Las Vegas, San Francisco, and Key West are popular ending points – drop off the bike, and fly home. Depending on your desired route and type of trip, you can also get a fully customizable experience with a self- or fully guided tour. EagleRider can arrange for high-end accommodations or, more in keeping with the traditional image of rough-and-tumble riders, more humble digs in a motel. 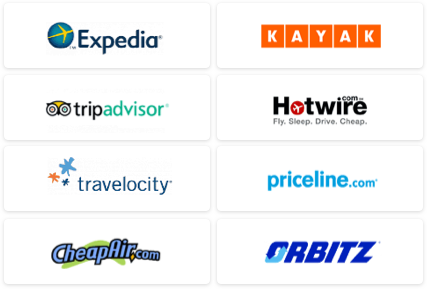 In addition, the company can set up tickets for baseball games, shows, or any excursion of your choice along the way or in your destination city. One important requirement riders need to take care of on their own: a motorcycle license. Since the DMV can be an adventure in itself (and not one that many people relish), there’s the option in some states of taking a 10-hour licensing course, with on-road practice time, through the Motorcycle Safety Foundation (courses run around $250, depending on the state; just a heads-up that the website is pretty archaic). However, a pilot program EagleRider recently launched in Florida bypasses that whole licensing hurdle. Its Passenger Rides & Day Tours packages, which start at $359 and include helmet, jacket, and certified tour guide, let biker wannabes who don’t have a license hop aboard a bike of their choice for a half- or full-day excursion. For the usual tours and rentals, prices range from around $200/day for a basic rental up to a guided 16-day trip from Seattle through the Canadian Rockies and Yellowstone, starting at $7,990. 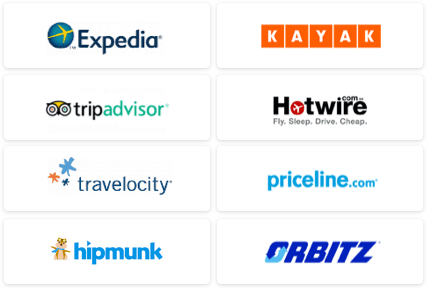 In addition, the company features some great deals on its website, such as a current offer for $99 and $100 rentals from San Francisco and San Diego.